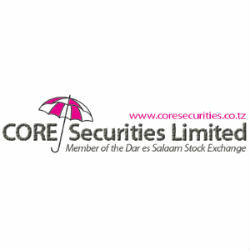 According to the Weekly Market Report of the trading week ending on 7th February, 2014 issued by CORE Securities, a leading Tanzanian licensed stockbroker, the Dar Es Salaam Stock Exchange total turnover increased by 41% to 939.91 million from 665.43 million the previous week. Both local and foreign investors participated in the market. Foreign Investors participated by 22.21% while Local Investors by 77.79%. On Friday 7 February 2014 the DSEI (ASI) closed at 1,881.24 (-2.20%), TSI Closed at 2,896.76 (-0.78%), IA closed at 3,456.93 (-0.12%) and BI Closed at 2,592.57 (-2.11%) points. Most of activities were seen on TBL, NMB, & CRDB counters. Last Treasury Bills auction was done on 29 January 2014 with a total of 46 successful bids for a value of 107,325.90 million. On Friday 7th February 2014 Closing Spot gold Price was up by +1.56% to 2.046 million per ounce (1 ounce = 31.10 grams). On the week close Friday 7th February 1USD=TZS1,616.33. The annual headline inflation rate for the month of December 2013 decreased to 5.60% from 6.2% in the previous month (November 2013).